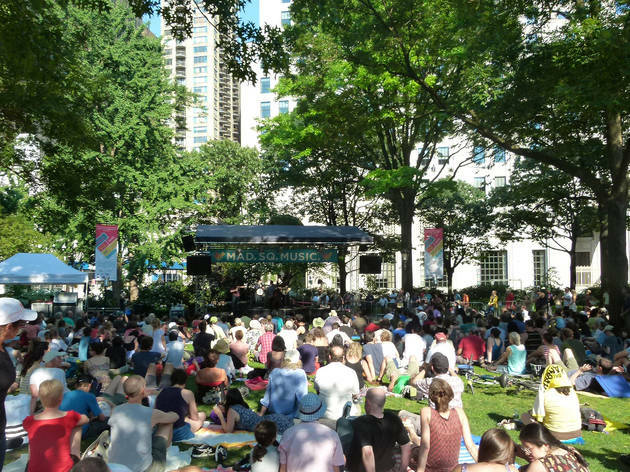 You'll want to bring a picnic blanket to the 12th season of Madison Square Park's outdoor concert series—Calexico will be dishing out some of their famous Cal-Mex fare while you jam to tunes from all over the world. 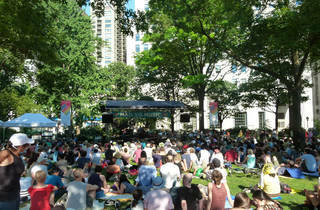 Hosting a wide range of musical acts, the summerlong series kicks off with vocalist Nicole Atkins (6/18), followed by Ethiopian-Israeli soulstress Ester Rada alongside singer-songwriter and activist Maya Azucena (6/25), bluegrass bands The Steeldrivers and Cricket Tell The Weather (7/2), folk singer John Fullbright (7/9), jazz artists the Jacky Terrasson Quartet (7/16), the New Orleans–style funk pianist Jon Cleary (7/23), Brazilian ex-pats Forro In the Dark with Ethiopian pop-funk group Debo Band (7/30) and finally, Sister Sparrow & the Dirty Birds (8/6). All ages.